LA FixIt Appliance Repair Services specializing in commercial stove repair. Serving the greater Los Angeles area for a many years and providing best results. Many local businesses and clients that use commercial appliances have been turning to us for expert repair at affordable rates; that everyone can agree on. It’s no joke that when your appliance needs a quick fix or service, you need expert technicians to assess the damages truthfully. What makes us different among all the local appliance repair companies is that we’re straightforward, honest and value our reputation. Reputation goes a long way in the appliance repair business. We have been serving the greater Los Angeles area since 1986 with our trusted name and will continue to keep proving the best service around. We go the extra mile every day to ensure that our reputation remains top notch and trusted. We never up sell customers and believe transparency is key to providing great technical support. Our licensed technicians have a core understanding on all the finer details of commercial stove repair. We hire our team after undergoing a thorough training process to ensure that our LA FixIt appliance repair technicians have what it takes to repair your commercial stove so that it’s working like new. Los Angeles is considered to be one of the nicest places in the world for its weather, residential communities, artsy stores, and beaches. Many local businesses are situated in locations where they get ton of foot traffic and are serving their customers every day. It’s very important to be able to serve your customers without a glitch in operations and management. Especially if you’re a restaurant and you’re dependent on your commercial stove. That would be a nightmare to find that your commercial stove isn’t working. That’s where we come in. We at LA FixIt Appliance Repair like to think of ourselves as partners in this Los Angeles web of businesses and residents to serve in repair solution for all appliances. Los Angeles is considered one of the biggest and influential metropolitan locations on the map. Many people from all over the world come to LA to start a business, raise a family and enjoy the weather all season long. LA is known for the city streets of Hollywood boulevard, Santa Monica Beach, Beverly Hills, Venice Beach, Down Town Los Angeles, and many more. There you may run into a celebrity, find amazing eateries and get a tan all at the same time. No matter where you are in Los Angeles, we’ll come out the same day for the repair. We have been doing for many years and don’t plant to stop any time soon. It’s a passion, a responsibility and a calling to provide same repair service for the LA community. Many local cafes and restaurants rely on a professional and licensed commercial stove repair man to fix the appliance with care and expertise. Call us today and request a service visit. We have a professional and dedicated customer service line to answer all your appliance repair related questions and schedule an appointment. We mean it when we say that we will come today to repair your commercial stove. Call us at 9 am and we will be there within the hour. 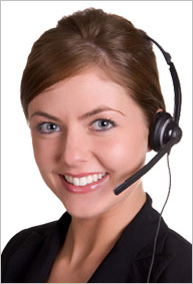 We schedule appointments to accommodate our customers within a two hour window. We never know how bad traffic can get so the two hour window gives us the flexibility to arrive per our agreed upon time. Our lines are always open and available for our customers. All you have to do is call us and request a time. If the phones are all busy, leave a message and one of our customer service specialists will call you back for your convenience. We have a whole team of dedicated licensed appliance repair technicians that are ready to come out and assess your damages today. 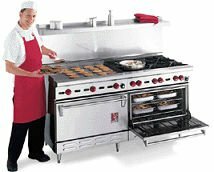 Commercial Stove repair is where our expertise is among all the other top appliances as well. We know the finer details and complexities that’s required for best repairs and we are here to provide that service. We go through steps to be certified to properly repair your commercial stove. We fix all major commercial stove repair including Viking, Dynasty, Wolf, KitchedAid, Samsung, and many more. Love LA Fixit & Appliance Repair! Would not think of going anywhere else. These guys are great. Excellent customer service and very friendly. I highly recommend!